Is there any way to HTML customize the review before submit page and select what field to show/hide in that page? I suggest you add the widget "Preview Before Submit". 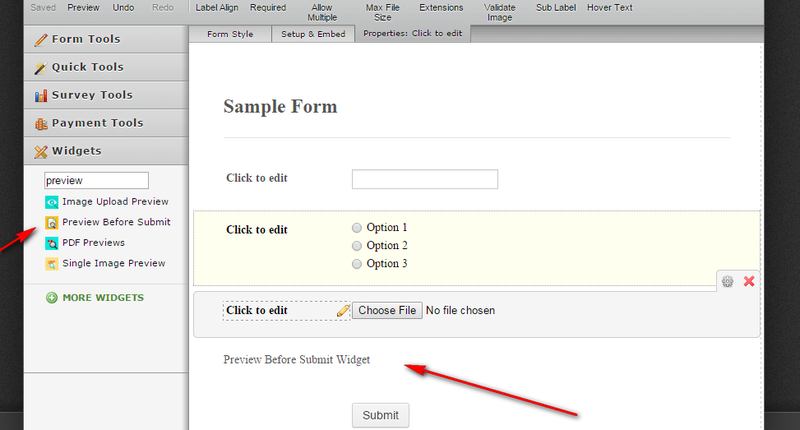 You can learn how to add a widget here, http://www.jotform.com/help/252-How-to-Add-a-Widget-to-your-Form. This will let your users to preview first before submission and can edit if they need to correct anything. For editing the HTML part, there's no feature to easily do that on the widget. But we can do a workaround, using Custom CSS Codes. 1. I made a sample form and added the "Preview Before Submit" widget. 2. This is how the "Preview" button page will display. 3. 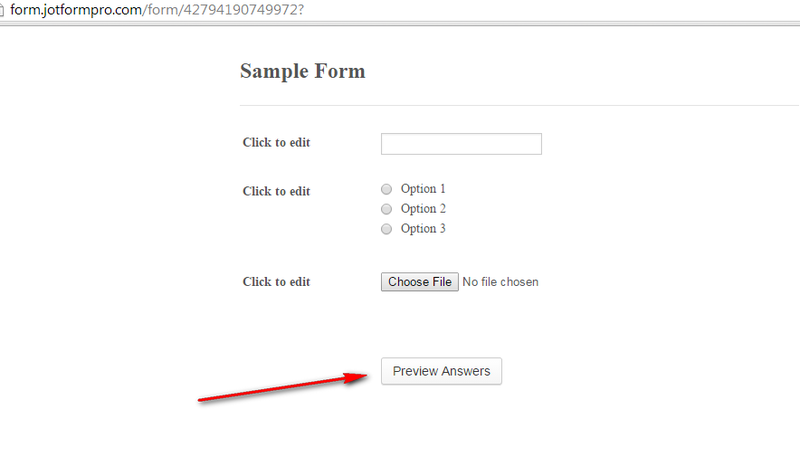 After clicking the "Preview Answers" button, it will display a preview page, with "Back" and "Submit" buttons. 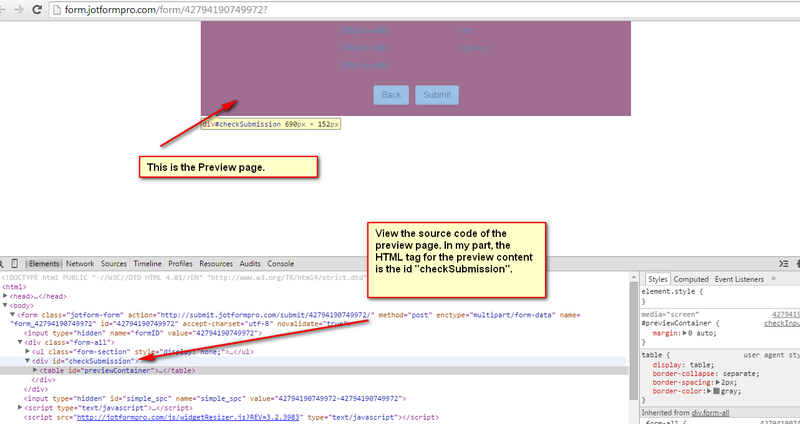 I check the HTML tag being used by viewing the source code. 4. 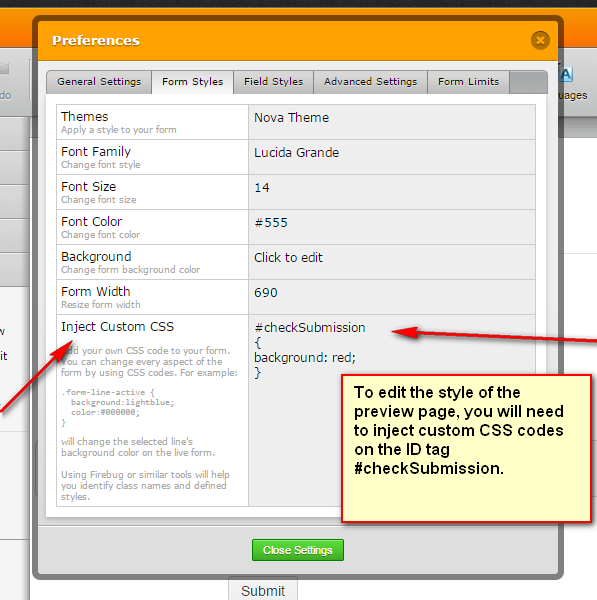 I then use the HTML ID tag "checkSubmission" to make changes on the display using custom CSS codes. You're welcome. We're glad to help our customers here. Please do let us know if this solution works for you. If you need further assistance, feel free to contact us anytime.